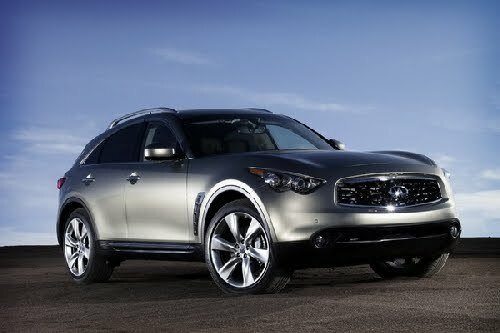 The all-new five-passenger SUV rides on a wheelbase that has been elongated by 1.4 inches, and the top-of-the line 2012 Infiniti FX50 is powered by an all-new 5.0 liter V8 mated to a new seven-speed automatic transmission: a first for Infiniti. 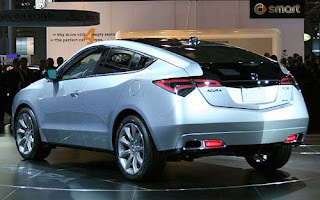 The transmission can be shifted via steering column-mounted paddles, and downshift blip the throttle to match revs during spirited driving. 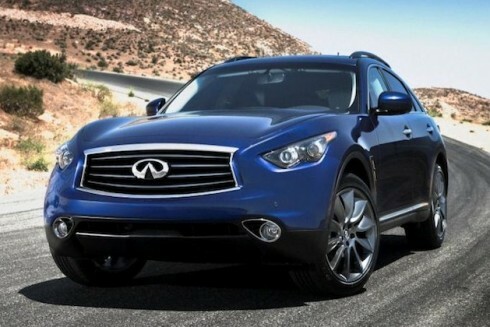 Safety systems on the 2012 Infiniti FX50 in both trims include Brake Assist and Electronic Brake-force Distribution, as well as traction and stability systems. 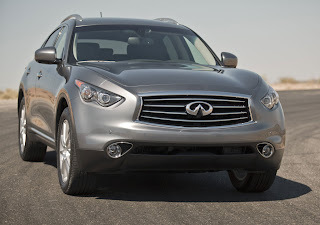 Optional is Intelligent Brake Assist for warning of a frontal collision and capable of automatic braking, Distance Control Assist (DCA) for keeping pre-set distances from the vehicle ahead in heavy traffic and a Lane Departure Warning/Lane Departure Prevention system, which helps keep the FX in its lane. 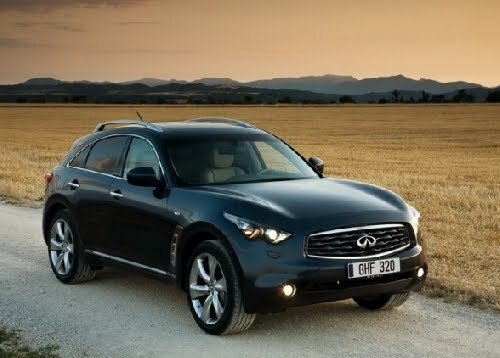 Standard comfort and convenience fare includes Infiniti's Intelligent Key entry and vehicle start system, as well as optional Intelligent Cruise Control (Full Speed Range) and Around View Monitor system. Standard lighting includes High Intensity Discharge (HID) headlights while LED taillights double as aerodynamic aids. All paints covering the FX's new, lighter body utilize Infiniti's Scratch Shield technology that uses sunlight to heat the clear coat and fill in any fine scratches it may have endured. Inside, the base sound system is a Bose-designed, 11-speaker set-up with AM/FM band reception, a six-disc changer and XM satellite radio hardware. An optional hard-drive based audio and navigation system includes real time traffic information with an XM subscription, a 9.3GB digital juke box, iPod interface, CF card slot and a voice recognition system for controlling the climate control, navigation and audio system and phone.